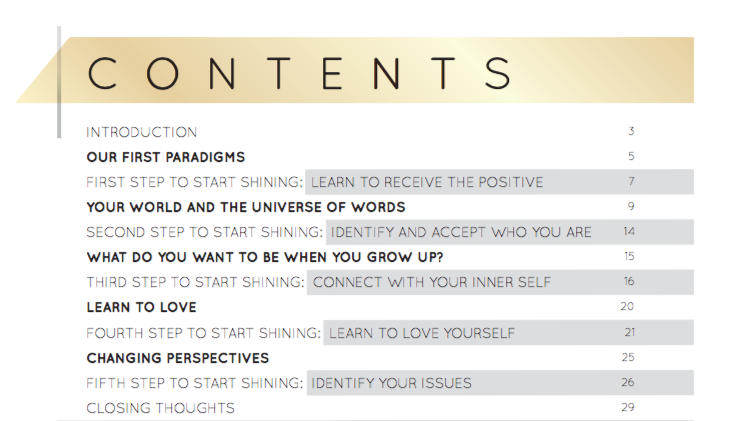 This book will guide you to start shining your own light and reach the sparkling freedom that you yearn for. Very detailed and well explained. Will be definitely recommending this! An Easy and simple way to make you discover a new path to shine your own light. Vicky is a qualified business coach, with certifications in NLP and TimeLine Therapy®. Her ‘Making People Shine’ programme merges coaching with NLP and other creative techniques to help people re-connect with themselves and re-wire their brains, to become a better version of themselves, both at a personal and business level. Vicky is also an artist and a serial entrepreneur, and her 13+ years of communications experience in international, multi-cultural business have taught her how to ‘reach’ different personalities at all levels in the personal and business environment. In her work, she teaches clients to tap into that skill and ‘win through’ their audiences more effectively and authentically.